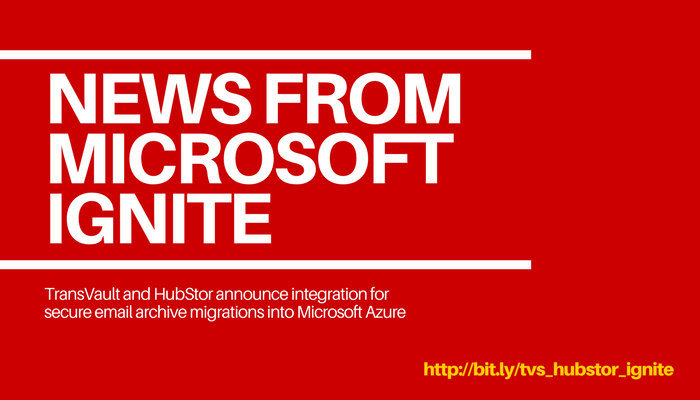 MICROSOFT IGNITE -- ORLANDO, FL, SEPTEMBER 25, 2017 (Newswire.com) -- TransVault, the leading archive migration software provider, and HubStor, the leading data-aware cloud archive and storage tiering solution, have today announced a technology integration for secure migration and archival of email records into the Microsoft Azure cloud platform. The two companies are collaborating to give clients unmatched freedom and flexibility for the long-term preservation of corporate email in Microsoft Azure. As businesses move their on-premises messaging infrastructure to Microsoft Office 365, in addition to migrating user mailboxes, they must move on-premises email archives. The archive migration process typically uncovers large volumes of data from ex-employees as well as public folders and journal archives. The TransVault and HubStor partnership enables clients to move their legacy email data into a secure, searchable archive that leverages Microsoft’s low-cost cloud infrastructure. Clients have the option of hosting the fully-managed storage solution in their Azure account, and the service can run in any Azure region around the world. By integrating the two technologies, TransVault enables its channel partner network of over 100 service providers around the world to move email workloads with full chain-of-custody into Azure. Unlike legacy email archives, HubStor does not present a lock-in problem because customers have the ability to extract their data easily and can cancel at anytime without penalty. TransVault’s integration to HubStor gives customers added assurance that if they change strategy in the future, they can move their email archives out of HubStor and directly into their new preferred destination with full chain-of-custody and in a format that is 100% usable. In addition to finding a new home in Azure for the legacy archive data, companies can also satisfy their compliance journaling requirements with HubStor. Typically, businesses that must journal messages are surprised to find that Office 365 does not offer support for journal mailboxes. Instead, their Office 365 tenant must journal to an external mailbox. However, with HubStor, TransVault’s clients and partners can now meet journaling and eDiscovery requirements alongside Office 365 in Microsoft Azure. The integrated solution is available today from TransVault’s channel partner network. Visit www.TransVault.com/HubStor for more information. HubStor is Software-as-a-Service (SaaS) that enterprise clients use for secure cloud archiving, seamless file system storage tiering, searchable cloud backup, ransomware recovery, legal hold, Office 365 journaling and backup, and WORM compliance. 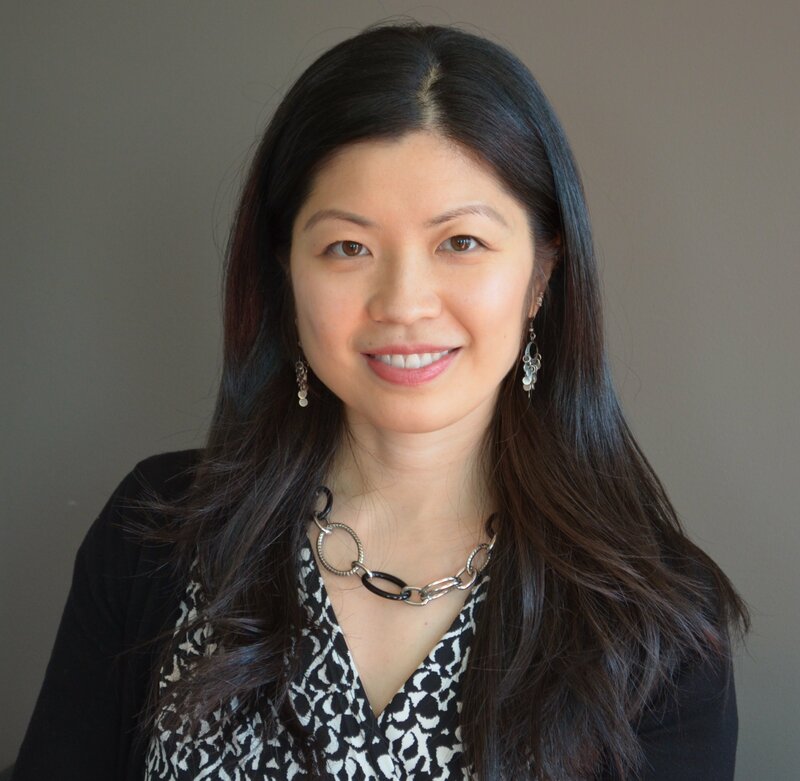 HubStor currently serves clients, large and small, across a variety of industries in the United States, Canada, United Kingdom, South Africa, and Europe. HubStor is a CIOReview ’20 Most Promising Azure Solution Provider in 2016’ and a member of the Microsoft Enterprise Cloud Alliance. Our products build on over 23 years’ experience with high-end corporate messaging systems and 12 years of implementing and supporting enterprise archiving solutions. This has resulted in a product suite able to address the unique and often very site-specific challenges that can arise during migration. To date TransVault is behind over 1,500 migration projects, including some of the largest in the world. The needs of smaller migrations are also addressed with our DIY approach. Our proven track record and status as a Microsoft Gold Partner, Symantec (now Veritas), IBM and HP partner means you can rely on TransVault to ensure that your email records remain a discoverable asset as your IT strategies and infrastructures change. TransVault products are available exclusively through a specialized international network of partners that offer a range of bespoke migration services for their customers.